The Soundmaster UR2170Sl features an impressively elegant design and a silver surface. The under-cabinet radio, which supports DAB+, FM, and PLL radio, is well-equipped and—despite its wide range of features—offers a user-friendly interface for easy and precise adjustments even in a hectic kitchen environment. The 2 x 3 watts RMS output fully suffices to ensure a pleasant listening experience, overpowering the loud background noise in your kitchen. But that’s not all: The Soundmaster UR2170Sl under-cabinet kitchen radio is equipped with a remote control that allows you to control all important functions of the hi-fi device at a distance. The integrated CD player is a particular highlight. It also plays CD-R, CD-RW, and MP3 CDs. 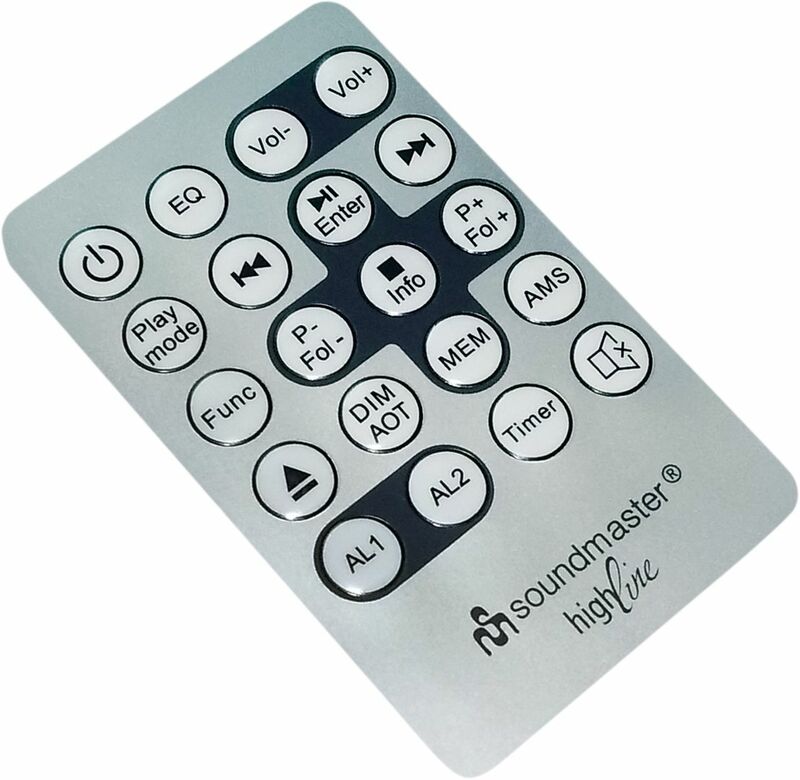 With the preprogrammed equalizer, you can adjust the high and low tones of the audio playback. This guarantees that you’ll find the perfect settings for each music genre, whether pop, rock, classical, or spoken word, to give you an ideal kitchen listening experience.